Known to generations of visitors for beautiful, family-friendly beaches and waterways, North Carolina's southern coast also offers a multitude of fun-filled attractions! Naturally, many attractions are typical of the seashore: excellent fishing, fine seafood dining, the many cruise opportunities. No beach resort would be complete without water slides, go-cart tracks or batting cages, and there are plenty of those. These amusements, as well as miniature golf, movies and bowling, are plentiful! Enjoy week 25 each year in North Carolina! Steps away from the beach! Buyer May Receive A Title Fee Credit, Inquire For Details! 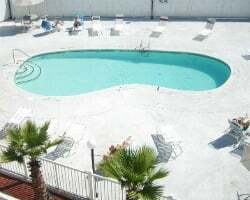 Family friendly resort right on the beach! Buyer May Receive A Title Fee Credit, Inquire For Details! 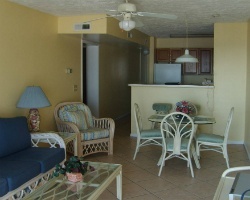 Beautiful family friendly resort just steps away from the water! Annual week 17! Buyer may receive a title fee credit, inquire for details! Annual July week to soak in the sun along the Cape Fear Coast! Inquire now! Week 34 every year on Carolina Beach! Motivated! 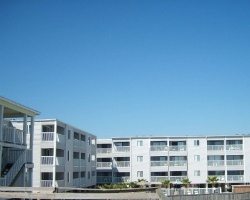 Beautiful location just steps from the water! Near The Boardwalk! Fishing Pier located at resort! Buyer May Receive A Title Fee Credit!